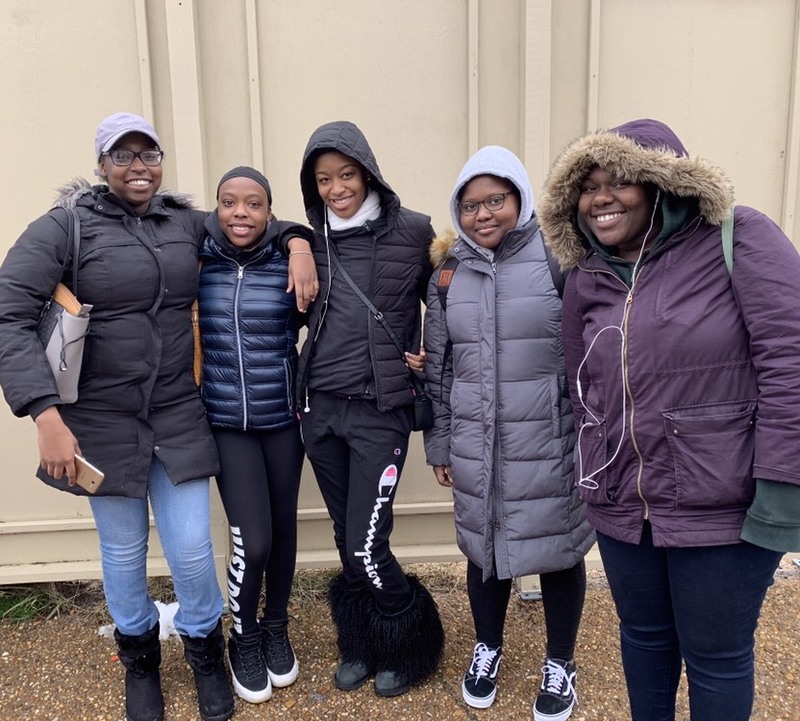 This January, 5 students attended the annual March For Life on the National Mall in Washington D.C. They traveled with the Diocese of Brooklyn-Queens, and were accompanied by SJHS History teacher and Track coach Mary Gallagher. 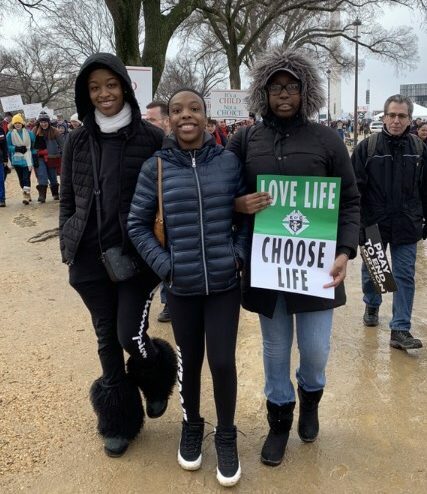 Coming from a variety of backgrounds, the students attended the March with an open mind and an interest in understanding more about the reasons why people engage in pro-life activism. While they did not all agree completely even amongst each other, each one came away with a deeper awareness of the moral gravity of the subject. 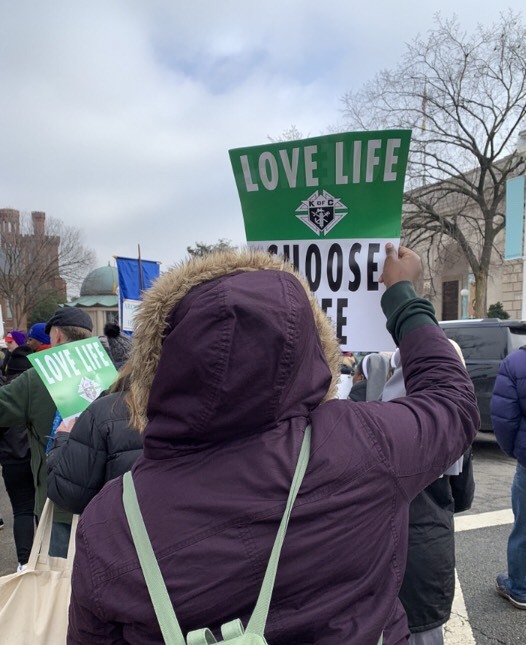 Ashley Beaujuin, ’20 came to the March with an open mind even though she considers herself to be on the fence between the pro-life and pro-choice positions. She came away glad to have had the opportunity to interview some of the other attendees and learn why they had come. Atta Gould, ’19 held a similar point of view when she attended the March for the first time last year. She didn’t know what to expect, and she wanted to see if attending the March would change her mind and help her figure out her own judgement about abortion. “Seeing the posters and images of children who were aborted really changed my mind,” she explained, “I started to look into the issue and realized I agreed with what was being said at the March. If you are thinking about it from a moral standpoint, we are talking about someone’s life at stake. So it’s worth fighting for.” While she noticed that there were even atheist groups at the March, she was also very happy to be surrounded by so many people who were of the same faith, coming together for something they all felt was important.